Mackie, J., Zinke, J. 2005. When Agreement Breaks Down, What Next? The Cotonou Agreement's Article 96 Consultation Procedure. (ECDPM Discussion Paper 64A). Maastricht: ECDPM. Article 96, and its rarely used sister Article 97, are easily the most controversial articles in the Cotonou Partnership Agreement. They provide the legal basis for the suspension of the Cotonou Agreement in cases where one of the parties feels that the agreement’s essential and fundamental elements are not being respected. The articles are therefore inevitably linked to some form of disagreement or breakdown in relations between signatory parties. Yet, the inclusion of these articles in the Cotonou Agreement is not surprising: breakdown clauses, describing what to do when parties no longer agree on the way forward, are common currency in contracts and memoranda of agreement. So why the controversy? 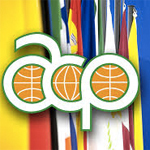 In drafting the Cotonou Partnership Agreement, the EU and ACP negotiators took the trouble to specify that the use of Article 96 should be preceded by a period of dialogue and that it was therefore only to be used if all attempts to resolve differences had failed. Indeed, the main content of Article 96 relates to further discussion or ‘consultations’ as these are called. The emphasis is therefore heavily on dialogue and trying to reach agreement. Finally the Article does not even specify what action should be taken if no satisfactory resolution to the differences can be found, it merely refers to ‘appropriate measures’, thereby leaving the door open to more or less serious sanctions that can take a wide variety of different forms and be adapted to different situations. In this respect, Article 96 therefore allows officials considerable latitude. This is perhaps the first reason for controversy, as once the EU invokes Article 96, ACP governments often feel they will be locked into an unknown yet inevitable process which they are powerless to oppose.